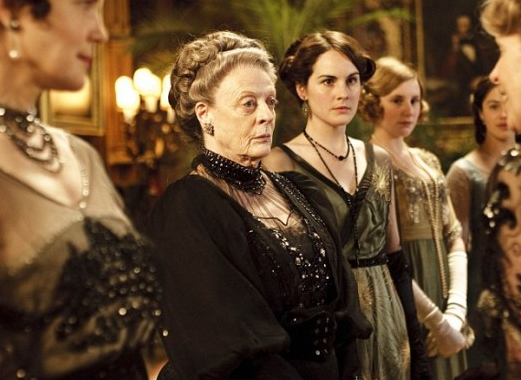 Have any of you been watching the TV series “Downton Abbey” on Masterpiece Theatre? I discovered it this week on my Kindle Fire and quickly became hooked on the clever writing, marvelous costumes, brilliant acting by Maggie Smith and others, but mostly on the biggest star of the series: the mansion. This gigantic home was designed by the same architect that built the British Parliament building. 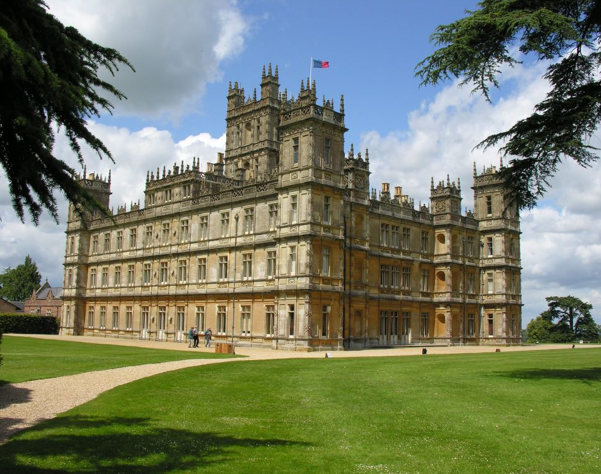 Known as “Highclere Castle“, this classy steals the show (a difficult feat when the intriguing upstairs/downstairs plotline has so much going for it…See “5 Reasons to Watch Downton Abbey” at Jane Austen World Blog ). The fact that an inanimate object–namely your shelter–can have such a presence and become an actual character in your life’s story is illustrated on a grand scale in Downtown Abbey. Let’s face it, not many of us have the kind of estate or wealth that the family in this PBS drama have. But the idea of home as an extension of the individual applies to all of our own homes, too. That’s basically the essence of feng shui. What we surround ourselves with–favorite art, comfortable furnishings, color or not, piles of clutter or clean minimalism–says a lot about us and influences our daily outcome. How you say? Well, if you can’t get out from under the clutter it will no doubt put you in a less than upbeat mood—not a great foundation for making decisions, grabbing any opportunities that might be presented to you on that day, or even giving you the motivation to get out of bed. If on the other hand you live in an environment that supports you among objects you LOVE and surroundings that inspire and make you happy, that is good feng shui.